Guacamole=Fun! My first real, live catering gig! 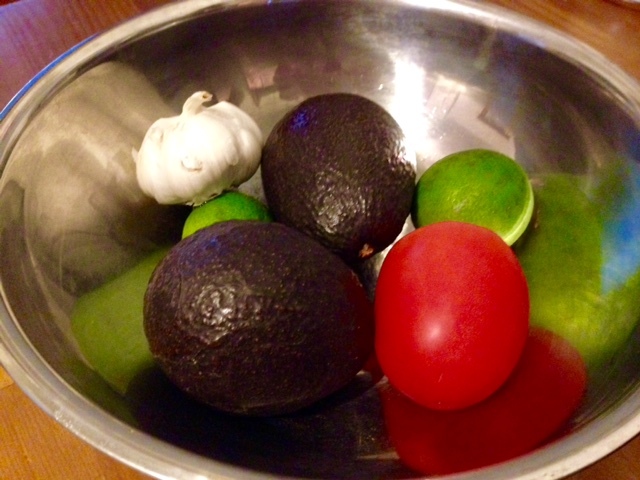 Call me crazy, but three or four ripe avocados lyin’ around demands a party. Guacamole screams festive. And maybe that’s because a stiff margarita goes so well with salty tortilla chips and the creamy, spicy dip, but I’ve never had a bad time when a bowl of guacamole is around. With guacamole=fun as my premise, I knew the celebratory dip had to score an invite to my dear friend’s house warming party. Asked to outfit the shindig with delicious eats, I also brought along black bean stew, spicy pulled chicken, and a luscious queso dip. I threw in some giant bowls of chips, instructed my amigos to build their own plates of nachos, and called it a Mexican fiesta. There were plenty of margaritas, of course, and some tequila spiked cupcakes even made an appearance. It was my first official catering gig, and it went off without a hitch! The OG Crew. Proof we had fun. You all know how much I love to feed people, but trying to prepare food for 30 people, all of whom come to eat at the same time, can be a little daunting. I love a Mexican fiesta just as much as the next gal, and I knew I wouldn’t want to be making 15 quesadillas over a hot stove with two pans the entire night. Instead, I utilized every crockpot within a ten-mile radius and did my cooking the morning of the party. 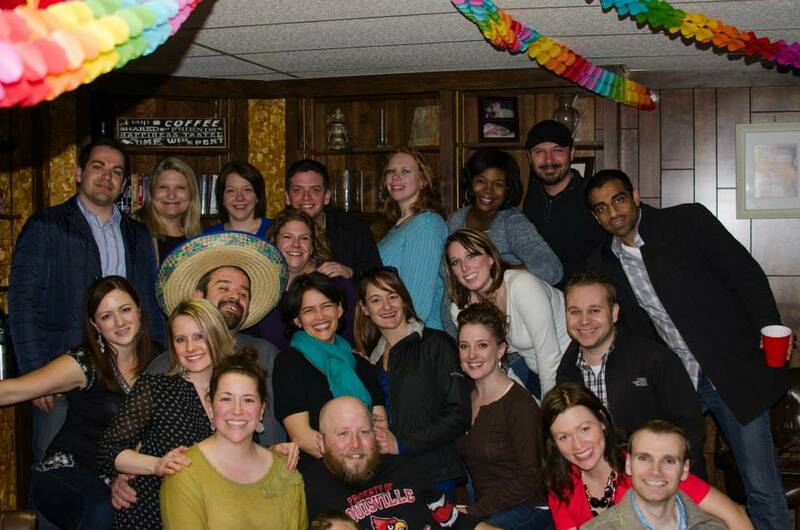 By the time the big event rolled around, I put on my sombrero and kicked on the crockpots. Surprisingly, the star of the do-it-yourself nacho bar was the guacamole. I say surprisingly because of all the dishes I made for the party, it was the quickest and easiest. Like so many simple dishes, good guacamole just requires a handful of really good, really fresh ingredients. First, make sure your avocados are ripe. What once was a guessing game, with a 50/50 outcome at best, I recently learned a handy trick to determine ripeness. Just remove the pit at the top. If it’s white underneath, you’ve got yourself a primo fruit. 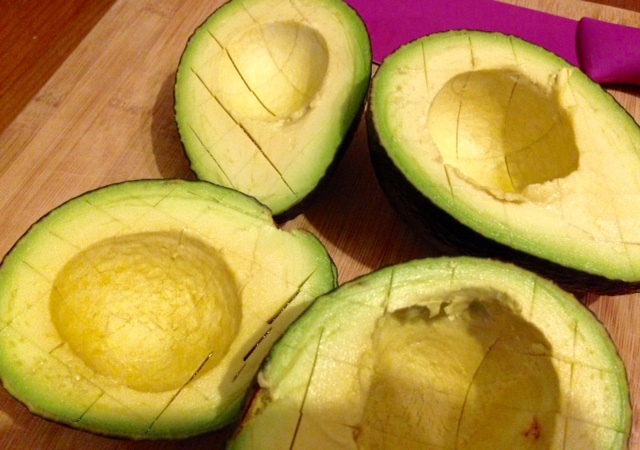 If it’s brown or black, your avocados are probably brown on the inside and overripe. Next, use lots of lime to keep the dip from turning brown, throw in a bunch of salt (avocados are really pretty bland on their own), and make it your own by adding your signature blend of herbs and spices. 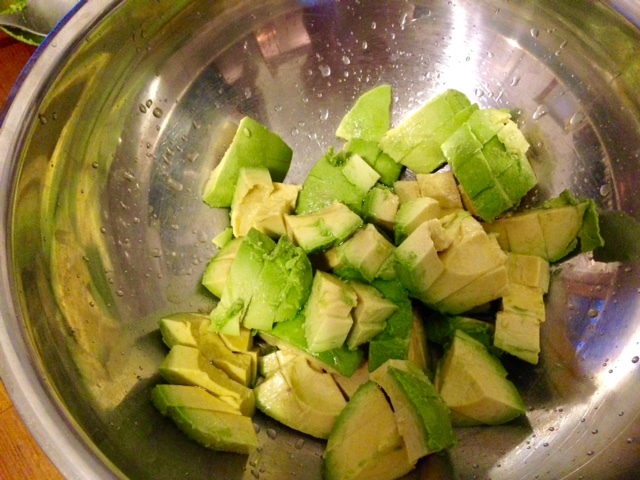 Cut the avocados in half lengthwise and remove the seed. 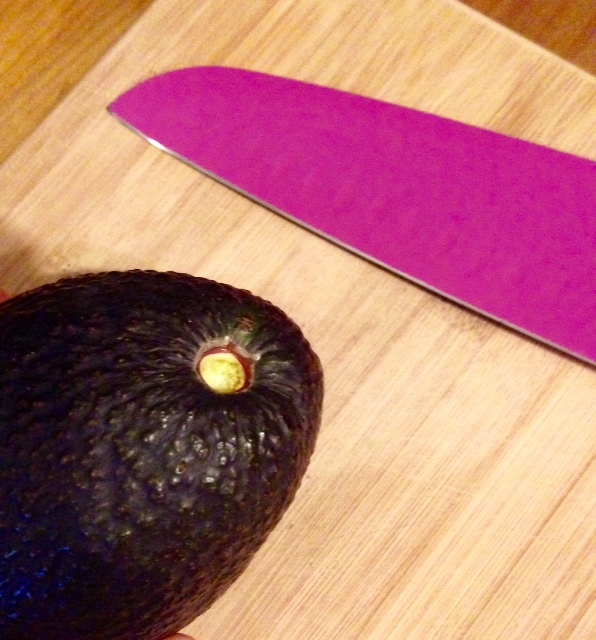 Make vertical and then horizontal cuts into the flesh of the fruit, creating a half-inch dice, and then scoop out the avocado into a medium-sized bowl. Immediately juice the lime on top of the fruit to prevent browning. Add the rest of the ingredients to the bowl and use a fork to stir/mash to your desired consistency. 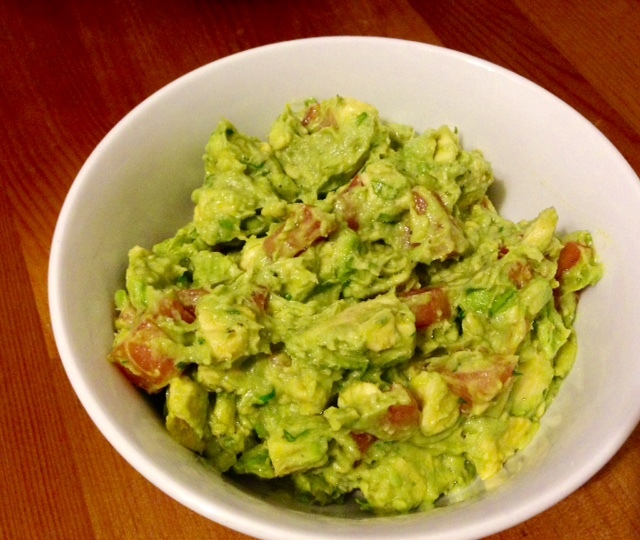 I like a chunky guacamole with a lot of texture, but if you like a creamier dip, I would recommend mashing the avocados a bit before adding the tomatoes and other ingredients. That’s it! So simple. Five minutes and you’ve got a party on your hands!